Malignant diseases represent an unmet medical challenge with a huge social and economical impact. Early diagnosis and optimized operative, medical and radiotherapeutic treatments often cure early stage cancers. The prognosis for many patients with advanced-stage diseases, however, remains dismal. An important achievement of the last decade is the use of the body's own immune system to treat patients. The potential of immunotherapies has been demonstrated impressively through the use and approval of specific antibodies directed against tumor-associated antigens. Tumor immunotherapy is currently subject of intense scientific and clinical development. The requirements of well trained scientists in this research field is rapidly increasing, both in industry and academy. There are currently no structured training programs in Germany to train prospective scientists specifically in the field of immunotherapies. 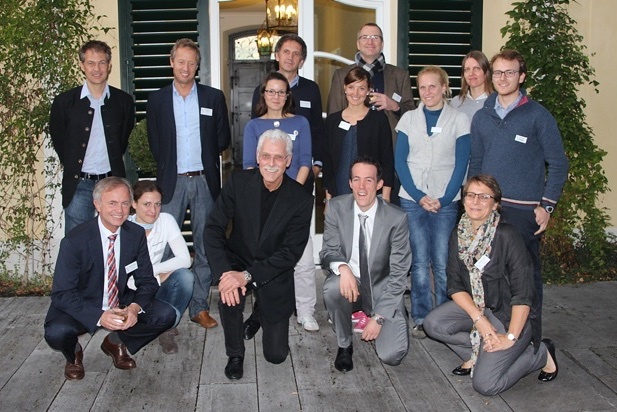 To fill this gap, a team of ten bavarian professors under the lead of the LMU Munich (speaker: Prof. Endres) have joined forces to investigate innovative immune therapies and to train talented PhD-students in this highly competitive research field. The training program, includes weekly seminars, quarterly workshops and annual conferences. A special character of the program is the intense cooperation with the industry and international secondments as an integral part of the PhD-projects. Three fields of immunotherapy will be investigated: Targeted cell-based therapies, targeted antibody therapy and immunomodulatory therapy (that counteracts tumor-derived immunosuppression).